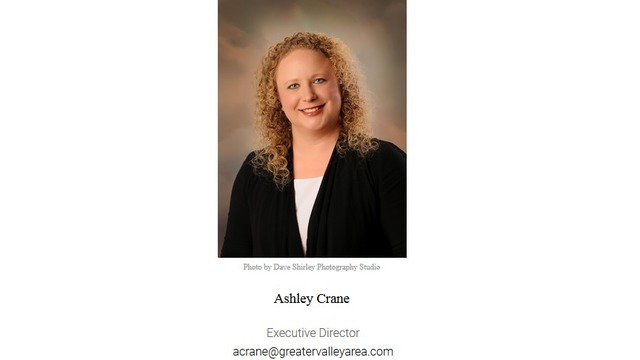 VALLEY, Ala. (WRBL) - The Greater Valley Area Chamber of Commerce Board of Directors is confirming Ashley Crane is no longer serving as Executive Director for the group. President of the Board, Bill Gladden sent News 3 the following statement Monday night. "We want to continue our work with the local businesses and industries to maintain a healthy, stable, and viable Chamber and in efforts to improve the quality of life in our communities we serve. The Board wishes to assure its members that scheduled events will go on, as planned, and that the Chamber will continue to meet the needs of our member," said Gladden. News 3 has reached out to Crane is awaiting a statement from her. Monday's announcement comes two days after a statement released on social media by Valerie Gray who is the Executive Director of the Chambers County Development Authority. Gray issued the announcement on social media Saturday, January 5th. As Executive Director, the integrity of the Chambers County Development Authority is of the utmost importance to me. That includes the reputation of my dedicated staff and members of our Board of Directors. I stress this sentiment because as recently as this morning I have fielded numerous questions and calls about an alleged incident that occurred on Thursday, December 13, 2018, at a local Chamber of Commerce function. Because of my respect for the integrity of our office, and the values that we uphold for our stakeholders and partners, I am stating that no member of my staff, including myself were present at this event. In fact, every member of the CCDA staff was at home with family during the time of this alleged incident. Unfortunately, it seems that a segment of the population mistakenly associates the Chamber of Commerce as the same agency as the Chambers County Development Authority. I want to make it clear that the Greater Valley Area Chamber of Commerce and the Chambers County Development Authority are two completely separate agencies. We were at one time housed in the same building, but have maintained autonomous relationships since the 1980s. All staff members of the CCDA report directly to me and the Board of Directors who are appointed by our legislative bodies. The GVACC staff reports to an independent Board of Directors elected by the membership of the Chamber of Commerce. Any issues or concerns related to the Greater Valley Area Chamber of Commerce should be directed to their Board members which can be found via their website www.greatervalleyarea.com. Moving forward, no statements or comments regarding the GVACC will be addressed by my office. News 3 has not been able to confirm what the "alleged incident" is. We will let you know if and when Crane shares a statement.